Buy Infant Keepsake Baptismal Bowls For Christening Babies Or Toddlers. Each Is Unique And Wheel Thrown From Fine English Porcelain. Sold In Sets Of Six And Made In North Carolina, USA. 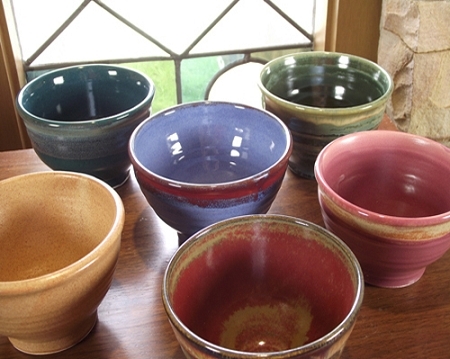 This set of six Keepsake Baptismal Bowls are some of our very popular Faith Vessels, and were developed by special request by a pastor friend. Select one to baptize an infant or young child, and then present the Baptismal Bowl to the parents to treasure as a keepsake of their child's special day. It is especially meaningful when you inscribe the child's name and the date of his/her baptism on the bottom with a permanent china pen. 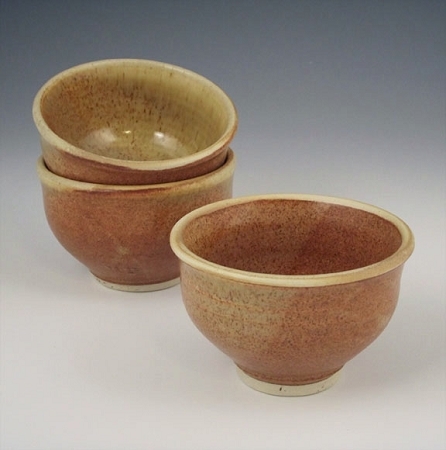 These bowls are 2.5" to 3" in diameter, and are sold in lots of six, so that you may have several on hand. 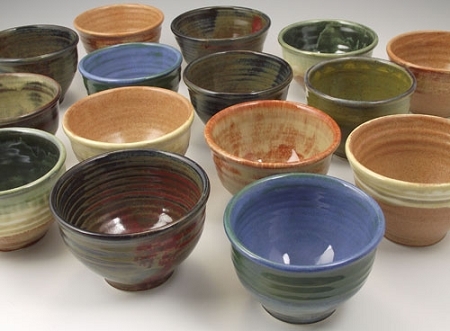 We glaze our Baptismal Bowls in a variety of colors, each one as individual as the child who receives it.